Jumana Nagarwala has been charged with performing FGM on minor girls out of a medical office in Michigan. 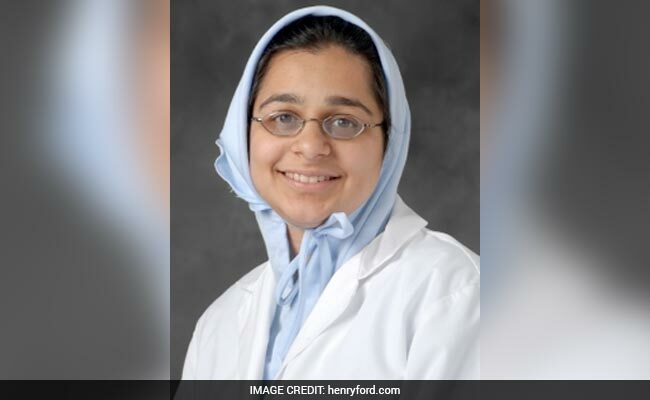 New York: A 44-year-old Indian-origin woman doctor has been arrested and charged with performing genital mutilation on girls aged 6 to 8, believed to be the first such in the US. Dr Jumana Nagarwala has been charged with performing FGM on minor girls out of a medical office in Livonia, Michigan. According to the complaint, some of the minor victims allegedly travelled inter-state to have Dr Nagarwala perform the procedure. The complaint alleges that Dr Nagarwala performed FGM on girls who were approximately 6 to 8 years old. This is believed to be the first case brought under a US law, which criminalises FGM. Dr Nagarwala, who is an emergency room physician, was arrested and was scheduled to appear in federal court in Detroit. Congress passed a law in 1996 making it illegal to perform genital mutilation or cutting in the US on anyone under than 18. FGM is punishable by up to five years in prison, however, it is not a crime in 26 US states, including Michigan.
" despite her oath to care for her patients, Nagarwala is alleged to have performed horrifying acts of brutality on the most vulnerable victims," Acting Assistant Attorney General Kenneth Blanco of the Justice Department's Criminal Division said in a statement yesterday. The complaint said federal agents reviewed Dr Nagarwala's telephone records and further investigation revealed that parents of two minor girls had traveled to Michigan. The girls were later interviewed by a forensic expert and one of the girls said she was told she was coming to Detroit for a "special" girls trip, but after arriving at the hotel, she learned that she and the other girl had to go to the doctor because "our tummies hurt". The girls had been taken to Dr Nagarwala, who performed the procedure on the girls. The World Health Organisation said female genital mutilation comprises all procedures that involve partial or total removal of the external female genitalia, or other injury to the female genital organs for non-medical reasons.